The recently most up to date product on the market is our professional line of very reliable receivers Quatra, Sexta, Octava and Decada. 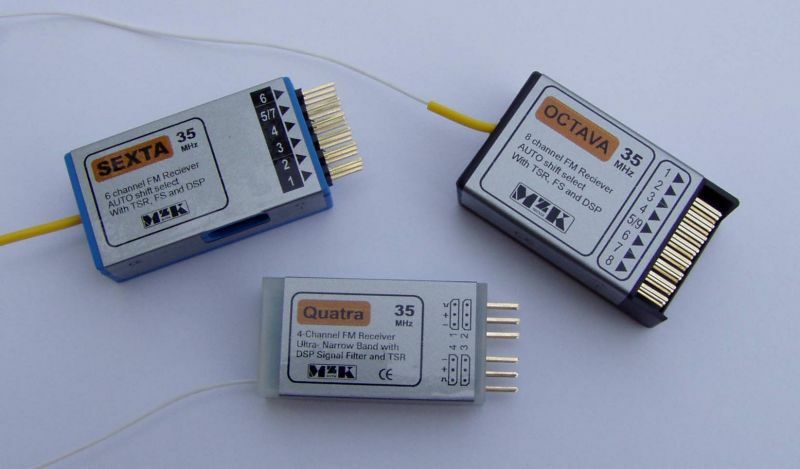 Thanks to the very sophisticated software providing functions like TSR, DSP, FS, HOLD and QR these receivers show an extremely high safety level against all kinds of radio inteference. 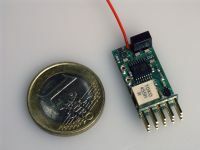 These R/C receivers represent the top line of a high-end series of very small and light receivers at reasonable prices. They can be used in areas with high interference levels where flying before was a risk. An automatically acting RF-amplifier at the receiver input insures optimum reception of the RF-signals whether the transmitter is in close vicinity or at the range limit. An extraordinary selectivity allows reliable simultaneous flying with close spaced neighbour channels. This was achieved by the use of a narrow band RF-Filter working safely with 10 kHz spacing between channels. During receiver development extensive attention was paid to digital processing of the received signals (TSR, DSP). This MzK-line of single conversion receivers with microprocessor decoders is also a high-tec line designed with the intention to produce lower cost receivers with comparable capabilities like the professional line. This was achieved by simplification of the software and slight reduction of part numbers. The result is a small and light low cost receiver line with properties comparable to the professional receivers. The microprocessor serves as decoder and filter for the incomming signals and distributes them to the proper servo outputs. Due to the simplified software no programming of the receivers is necessary. 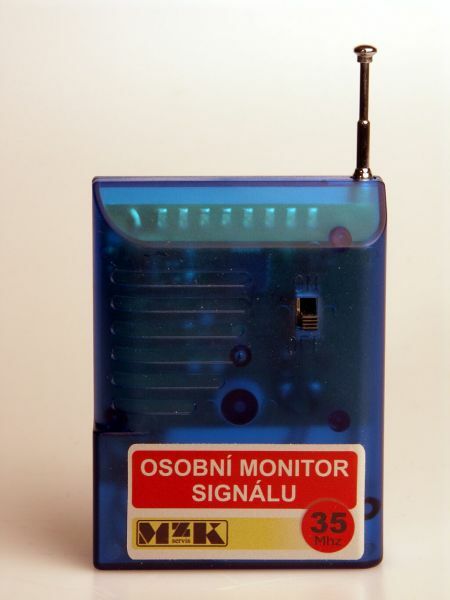 In fact this monitor consists of a receiver which is checking RF-signals in the vicinity and is warning you if there appear signals on your own frequency. A LED-line shows whether your channel frequency is free of interference or how strongly this interference may endanger your flying. The eight high intensity LEDs with different colours are connected to the output of the receiver and show according to the signal strength of the interfering channel if flying will still be safe enough for you.